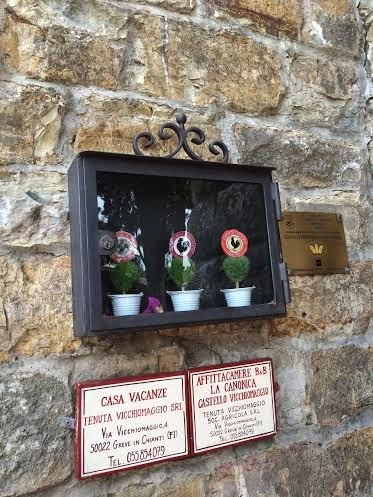 Between Florence and Siena, Italy there lies Chianti. 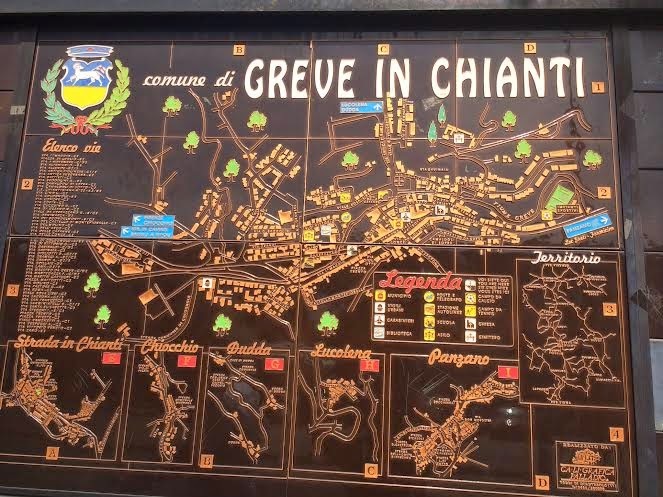 What is Chianti known for you ask? 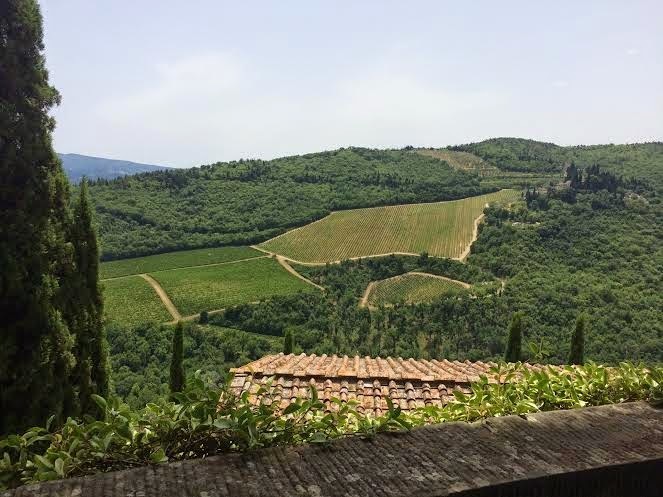 Well, this tuscany region is famous for producing some of the best italian wine out there. 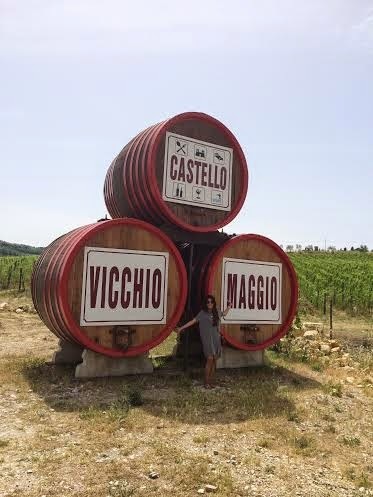 I was fortunate to visit the Castello Vicchiomaggio winery. 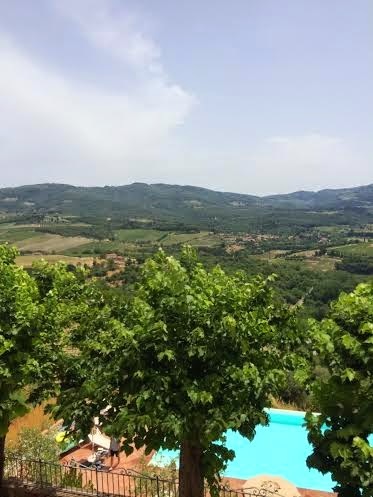 It was a beautiful villa and the view from the terrace overlooking the vivid green vineyard was spectacular! We gathered there for some lunch and drank their wine and enjoyed the good company surrounding us. This is a place I would like to go back and have a romantic weekend getaway with my boyfriend, to sit by the pool or even the spacious balcony with a glass of white wine in the summer evening watching the sunset go down. A simple grey t-shirt made my day with a pair a cute sandals. 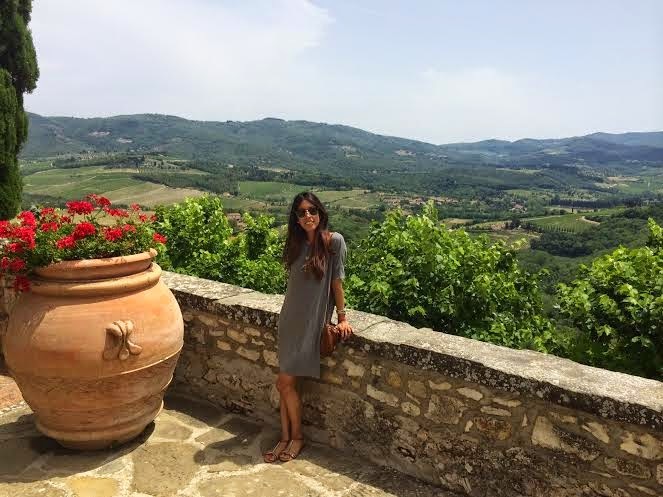 I love your simple outfit and Italy, my Country, is a place full of surprises. Amazing pictures. Visit my blog for a chance to win a pair of CHOPARD SUNGLASSES.